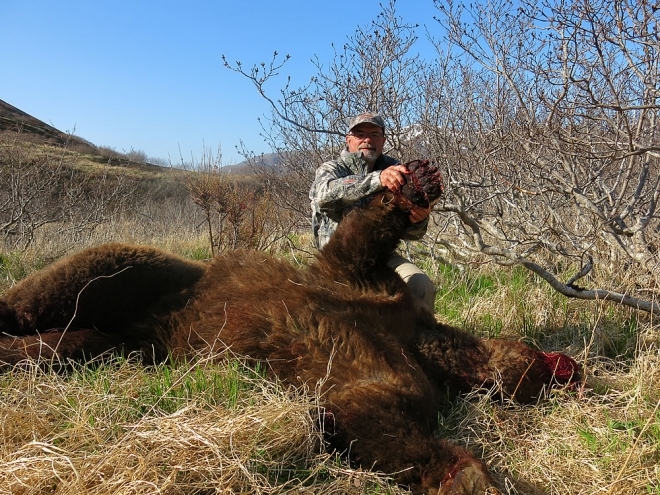 After two other unsuccessful brown bear hunts with other outfitters David Cooley chose to give R&R Guide Service a try. David harvested this beautiful spring Brown Bear on the fourth day of his hunt. Dave’s bear had an official skull measurement of over 28” placing it in the all-time B&C Record Book. Another great trophy from one of our state land camps.